Bootie Patootie presents these stylish pair of booties for your little one. 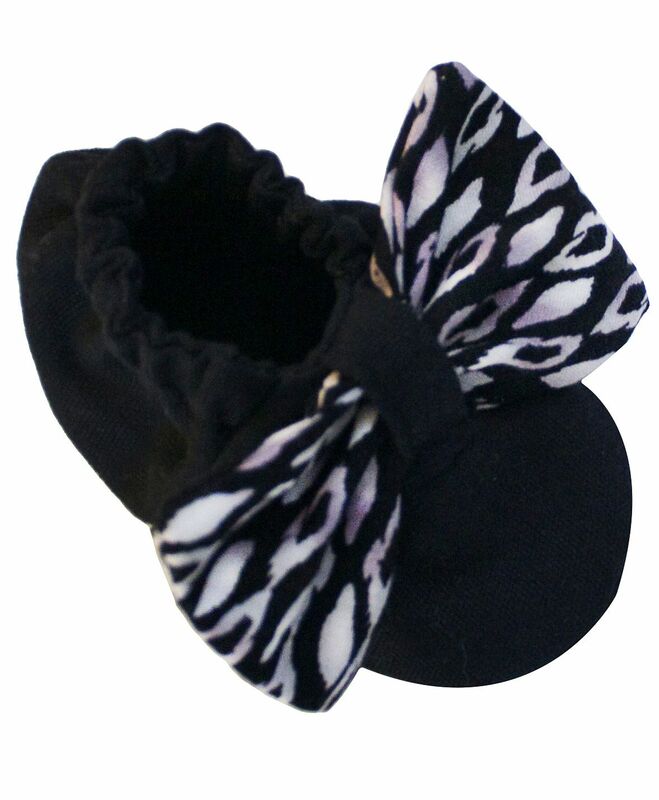 Trendy bow applique and solid colour makes it stylish and attractive. These baby booties are light in weight and made of 100% cotton canvas material for comfort to your baby's tender feet. Styling Tip: Mix and match these booties with frock or jumpsuit. Products of bootie patootie, llc are 100% made in the USA. All textile prints are designed in-house by the co-owner, Jillian Berry. Product Of bootie patootie, llc are treated as hand-made products, where every button is carefully sewn on by hand to ensure the safety of our little ones.